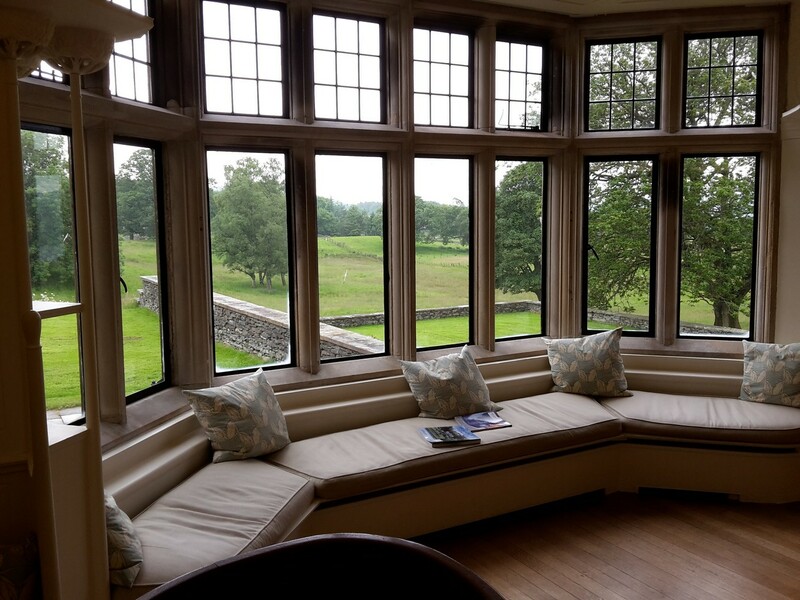 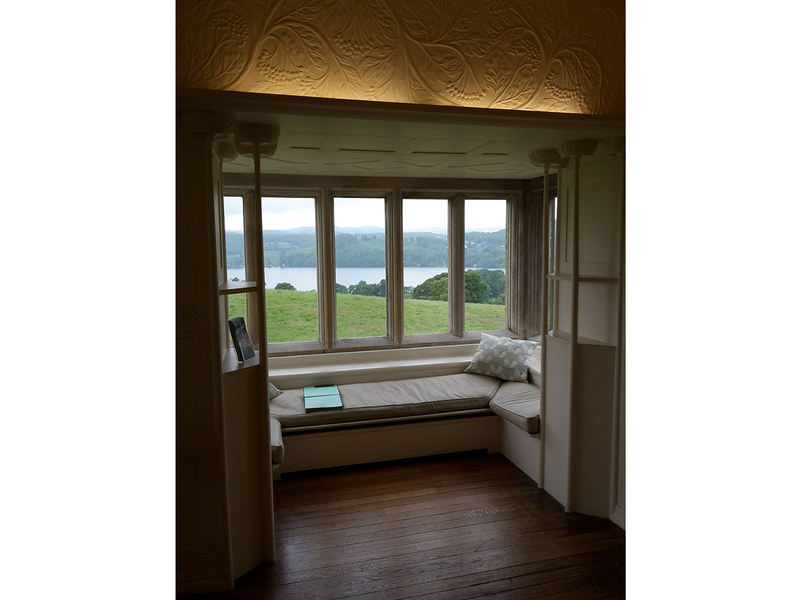 We were recently very fortunate to be able to spend a few hours wandering the rooms and corridors of Blackwell in the small Lake District village of the same name just outside Windermere. 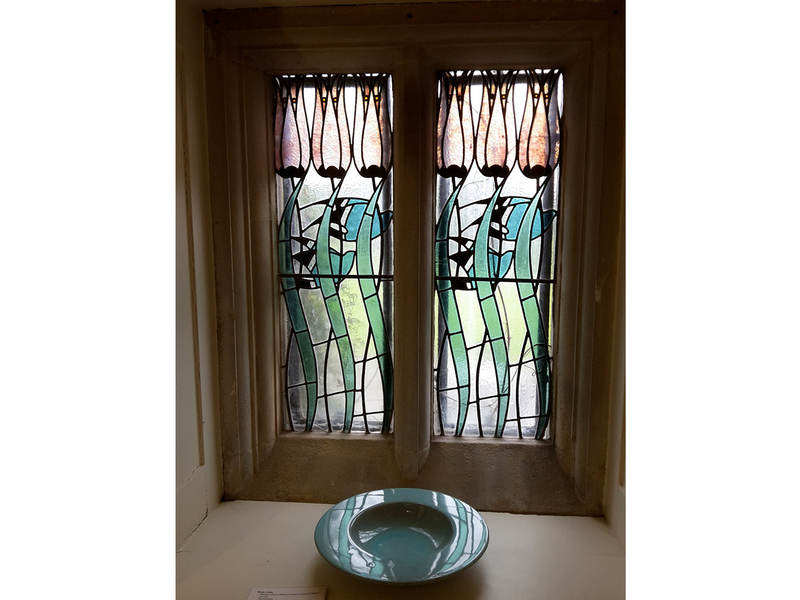 Blackwells Architect and designer Mackay Hugh Baillie Scott announced the above as a mission statement long before there were such things as mission statements but it has to be said, he certainly succeeded in his aim. 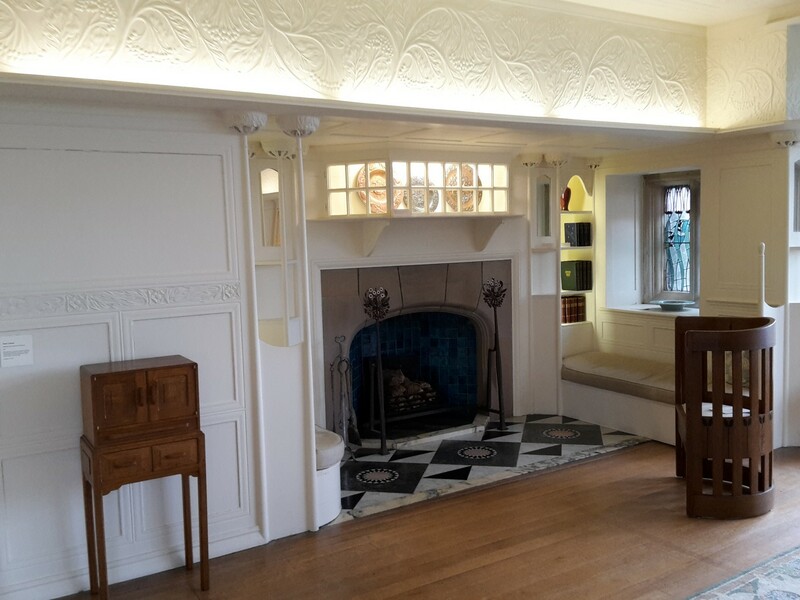 The house, its rooms, interior decoration and furniture all work in perfect harmony and give the visitor a definite impression that every single aspect was carefully considered and designed, not to mention beautifully crafted, by Baillie Scott and his selected craftsmen. 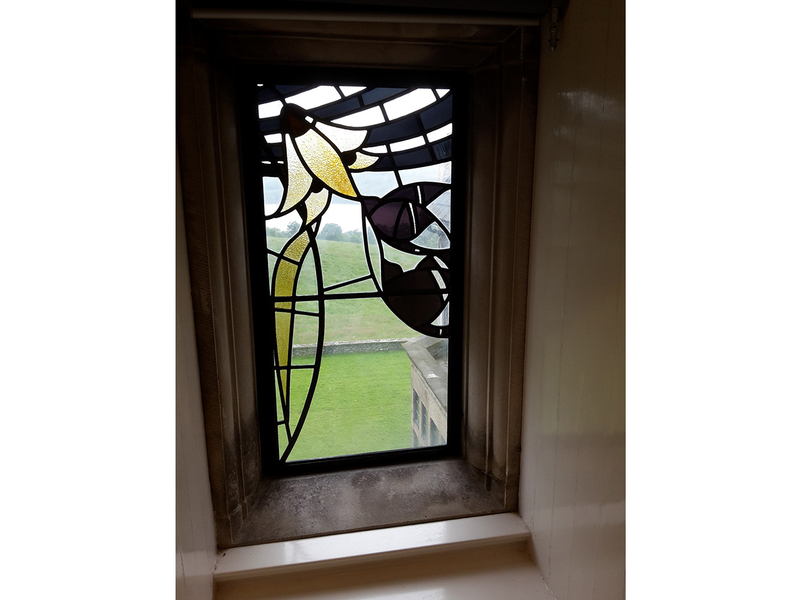 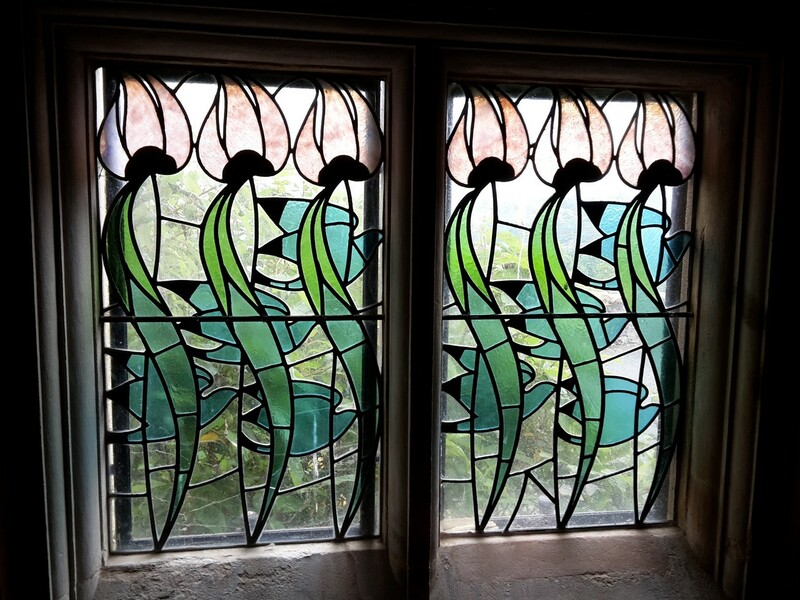 We principally visited Blackwell to view the stained glass, most of which survives in it’s original form to this day. 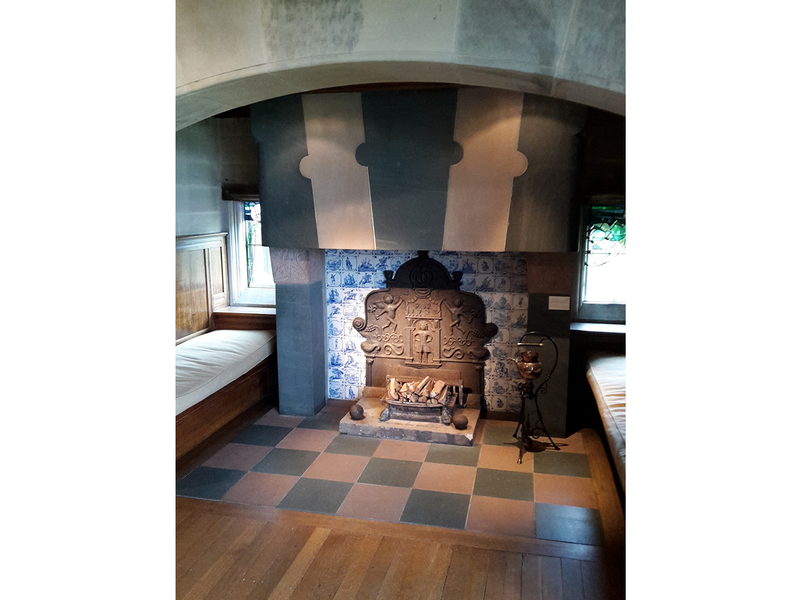 However we were also drawn by a great deal of other elements within the house, be this the many large inglenook fireplaces, a carved stoned cieling boss leading into the main halls choir stall, the elegent ceiling columns of the white drawing room, or the beautiful craftsmenship within much of the original period furniture. 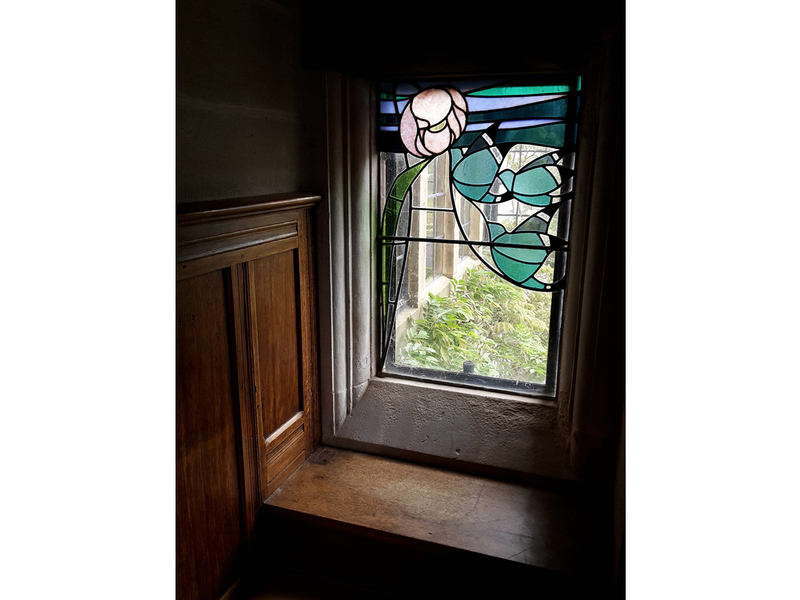 The stained glass itself is simplistic and highly stylized with clear references to the art nouveau design philosophy. 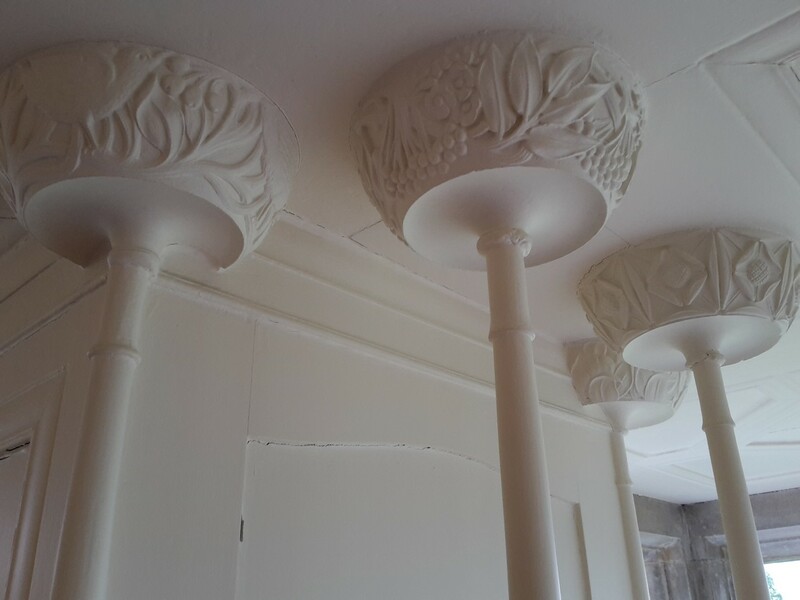 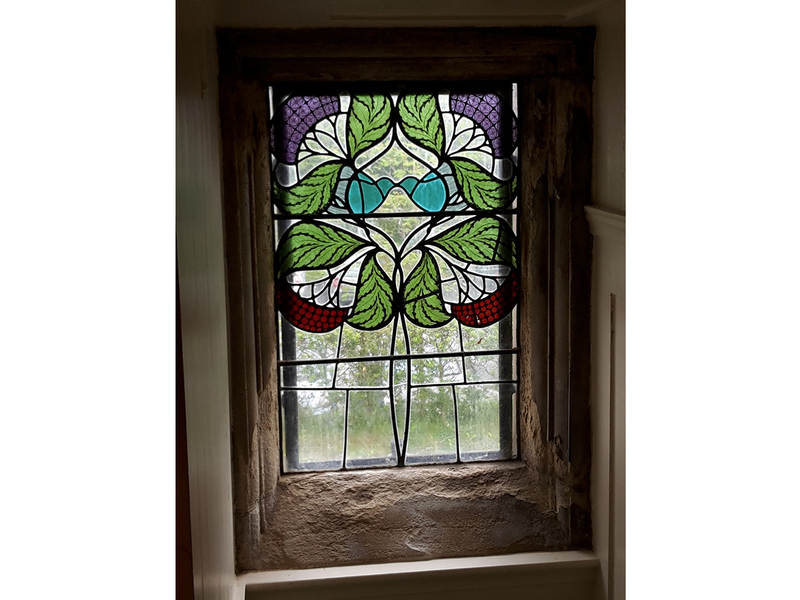 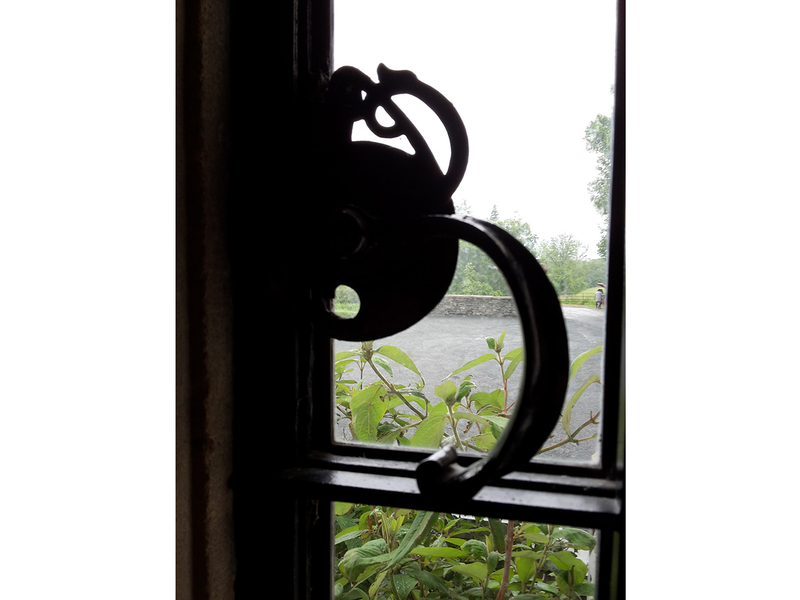 Produced by Simpsons of Kendal, there are recurrent motifs of birds (swallows to my mind) and flowers throughout all of the windows bringing beautiful light infused references to the natural world outside into many of the rooms. 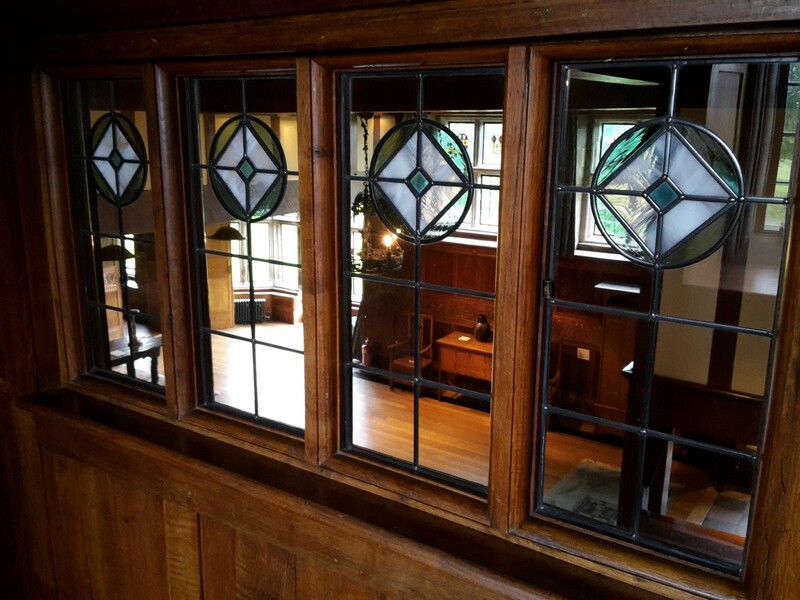 Completed in 1901, Blackwell was designed and built for Sir Edward Holt who personally commissioned the up-and-coming Arts and Crafts architect. 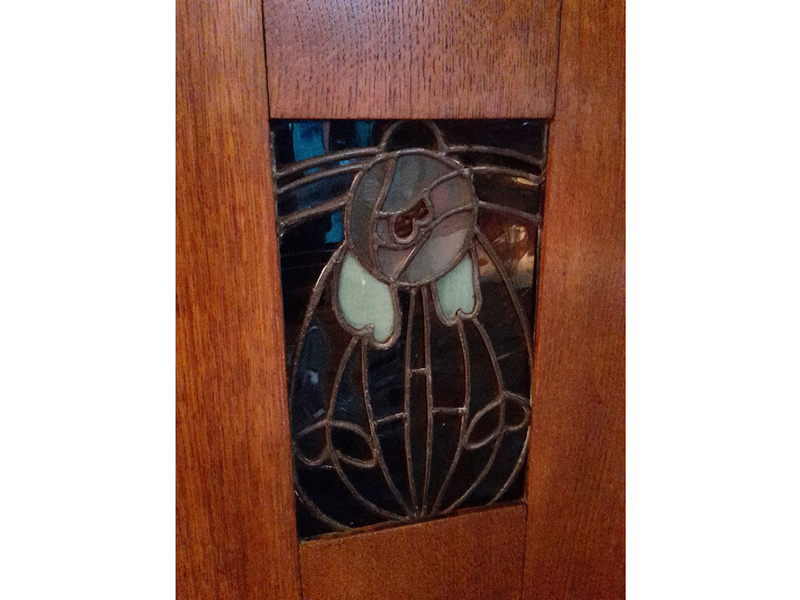 Holt was the owner of a successful Manchester Brewery and stood twice as Lord Mayor of the city. 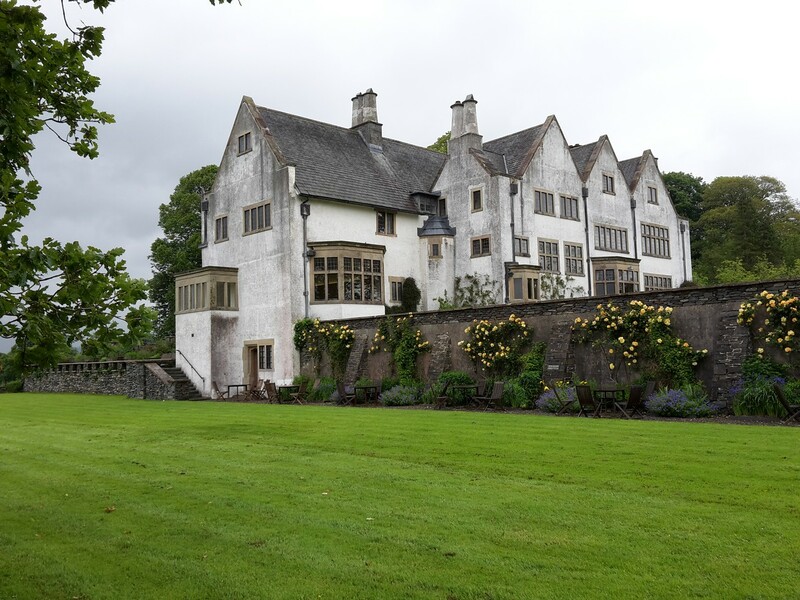 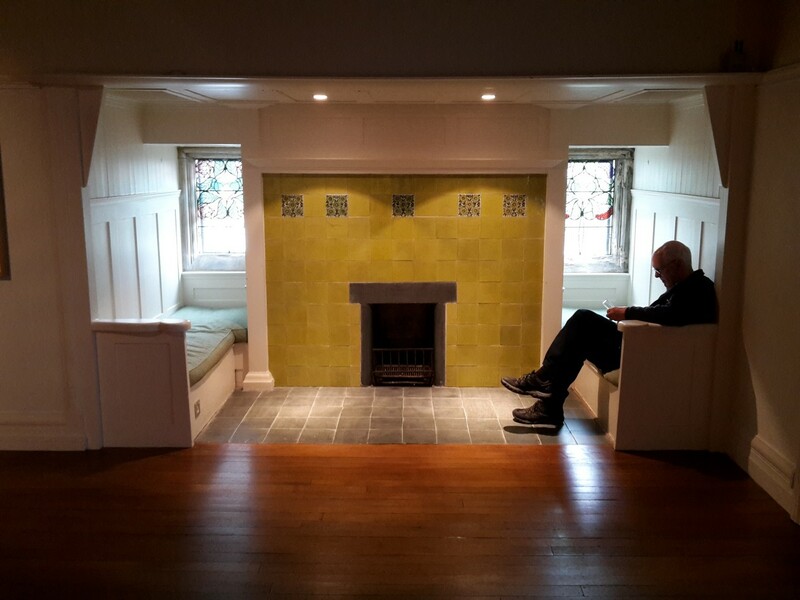 Having been used for a number of purposes after second world war including a school and offices, The Lakeland Arts Trust purchased the house in 1999 and began the lengthy process of restoring the house back to it’s former glory. 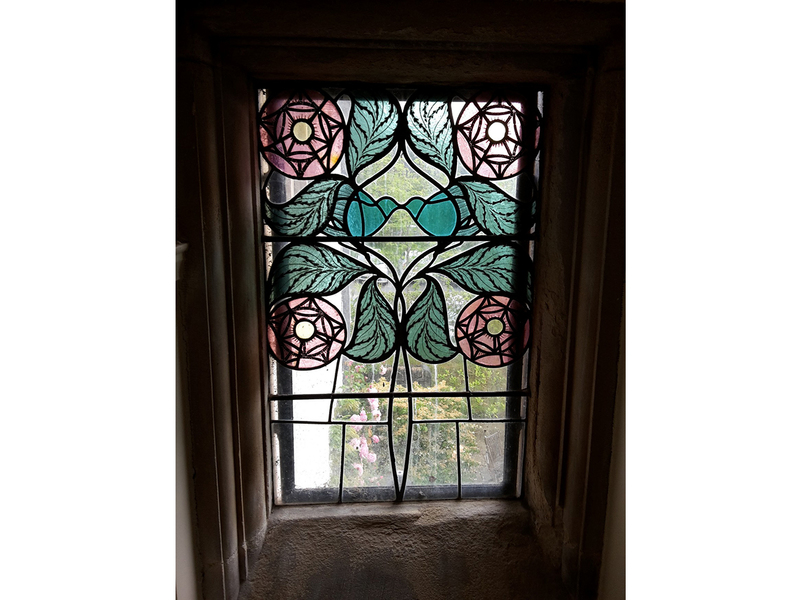 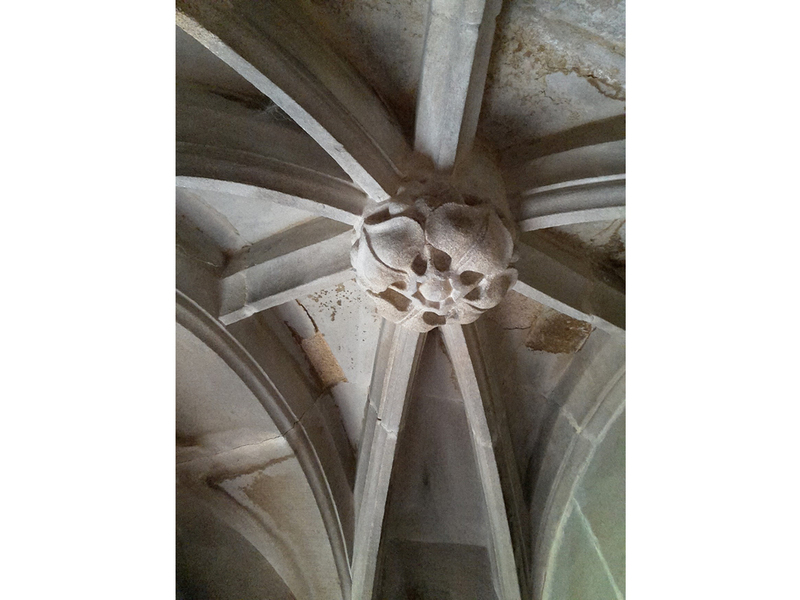 This work was supported with the help of local sponsors and a substantial grant from the Heritage Lottery Fund. 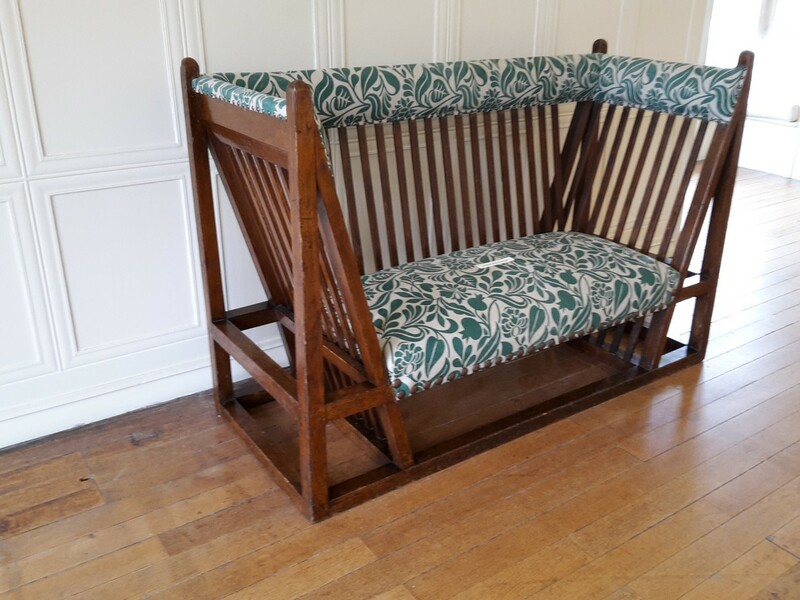 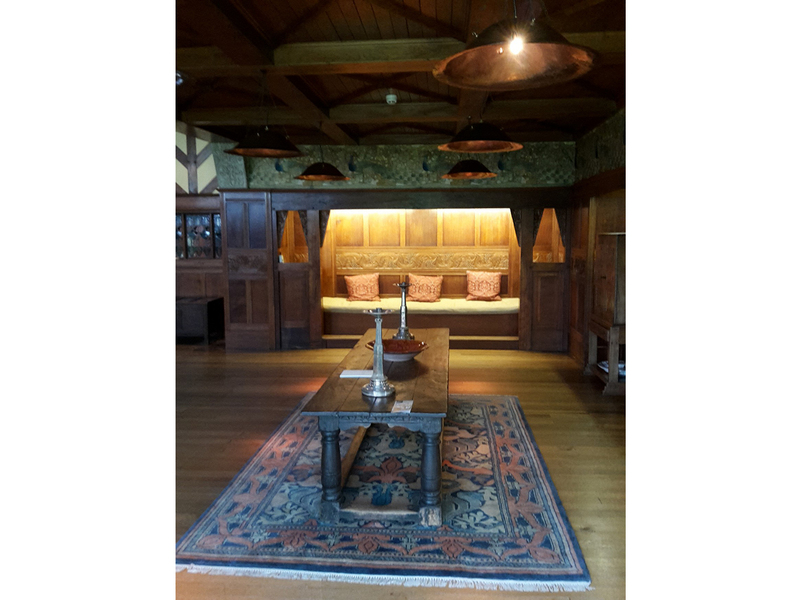 For anyone interested in period (particularly Arts & Crafts Movement) architecture, interior design and furniture and furnishings, a visit to Blackwell really is a must.